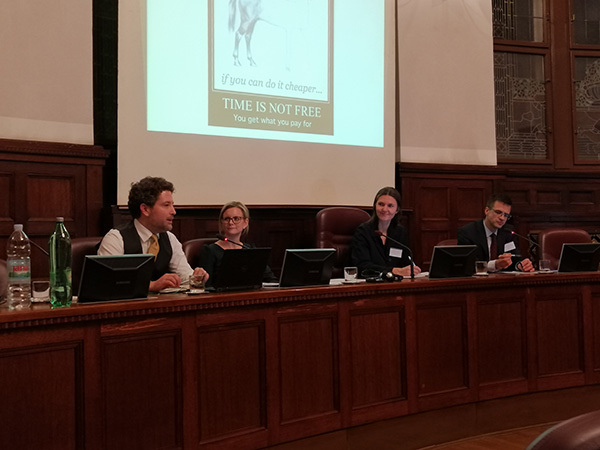 On 7 December 2018, the Young ICCA Skills Training Workshop on Efficiency and Costs in International Arbitration took place in Zagreb. The topic of the workshop was “Efficiency and Costs in International Arbitration”. The workshop followed the 26th Croatian Arbitration Days. Our Deputy Secretary General Elisabeth Vanas-Metzler was a panelist on "Minimizing costs in international arbitration: tips and tricks". For further information on the event and the panel discussion you can see the post-event report on Young ICCA’s website.